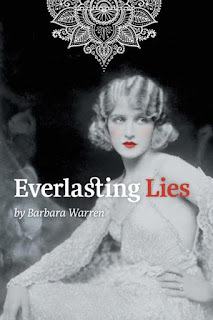 Everlasting Lies, a novel based on the author's story of her grandparents’ love affairs with each other and with others. Edina Paxton is kissed at twelve, seduced at fourteen and married with child at fifteen. She immediately regrets her marriage to Charles Vernon and is relieved when he leaves to fight in the trenches during WW1. She soon finds love, comfort and sexual satisfaction with Bill, another soldier and the boy who first kissed her. Charles is invalided out of the army and is sent to India on a hospital ship. There, he becomes a manager of a coalmine in Britain’s Indian Empire, with all the privileges that his position rewards, including sexual favours from female employees. At the end of his army service in 1920 he returns to England to collect his family and return to India, only to be greeted with the news that while he was away Edina was at play. She is pregnant. Reluctantly, Edina and her three children sail for India with Charles and Edina gives birth to her fourth child while sailing south on the Red Sea. On reaching India Charles finds his Indian mistress is pregnant and Edina finds Charles’s Indian boss to be very attractive. It’s a mutual attraction. Neither Edina nor Charles is a saint. Everlasting Lies is a work of fiction inspired by the lives of the author's grandparents. It opens in England just before WW1 and ends with the family living in India. It's a tale of love, sorrow and infidelity by both main characters - Charles and Edina - with a fair amount of amorous encounters along the way. I actually ended up being torn on how to review and rate this book. On the plus side, the author has a great writing style. The characters came alive as did the settings - both which drew me into this historical time in a very real way. I loved that Edina's character moved from the young wife with no power, to a woman coming into her own in the end. Charles went from abusive and egotistical to having a few softer edges. On the negative side are two notes. Charles change of heart was a bit abrupt and out of the blue instead of developing over time. However, what bothered me the most was her unflattering, one-dimensional portrayal of East Indian women - always beautiful, always dressed provocatively and always willing and widely experienced sexual partners. While I am sure during the time of British Rule there were women who pursued relations with men in power to survive, not for a moment to I believe it was the norm, nor that they were all eager to please men in this way. I am also sure there were subjugated women who were taken advantage of because of their lower station by those in power. Warren's talent is obvious. I hope she continues to offer new works, but at the same time that she is more thoughtful in her treatment of women from different cultures. Check out a great behind the scenes interview - here! Barbara Warren always has the pedal to the metal. Born in England and educated at a convent, she left school at sixteen and was selling encyclopedias in the roughest part of London at eighteen. 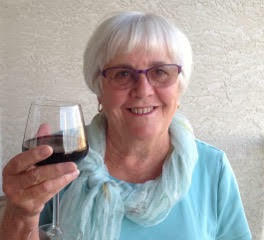 She married and emigrated to Canada when she was twenty-three, had three charming daughters, went to university when she was thirty-six and retired from teaching in her mid fifties. Then she pursued her passion for the arts and for travel. She and her husband rode camels in India, elephants in Nepal and horses in Montana. They hitchhiked in Norway, cycled across Denmark and snorkeled on the Great Barrier Reef. Barbara’s paintings grace homes in Canada, USA and Mexico and she designs her own clothes. She spends the winters in Mexico and the summers in the bible belt of southern Alberta. Her first novel, Everlasting Lies, tells the story of her grandparents’ love affairs with each other and with others. They struggle to survive in the last years of Victorian England and the horrors of WW1 and then start a new life with four children in Imperial India.